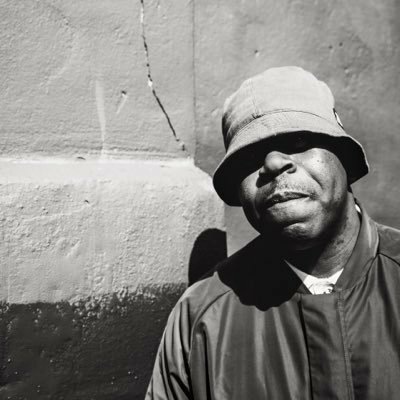 Having been introduced to DJ'ing at the early age of 17 by a college friend, Randall's head was turned by Acid House for the first time at 1987's Notting Hill Carnival. From there on he was hooked, spending his money on vinyl and listening to the likes of Rhythm Doctor, Rob Atkinson, Lindon C and Mr C, all members of the legendary 'Hypnosis' crew. Randall found that mixing came naturally to him, learning the basics in only a week, he then pushed himself to hone his unique unmistakable style, refining these skills by making weekly mix-tapes. One of those tapes did the rounds, resulting in a chance to play at the 'Delirium' crew's warehouse parties in Stratford, London. He quickly became noticed, leading to a spot on the legendary East London pirate radio station, Centreforce in '89. Not content with just playing across the London airwaves and illegal raves, and with his reputation steadily growing the big break came with a gig at 'Living Dream', a huge 10,000 capacity event in London where, thanks to another DJ not showing up, Randall got to play an extended three-hour set which had everyone talking! Things spiraled from there, picking up a Saturday night residency at 'Orange' at the Rocket Club in London, playing alongside the likes of DJ Hype, Grooverider, Fabio and Rap. He also secured another major regular slot for AWOL/World Dance at the Paradise Club with Mickey Finn, Kenny Ken, Darren Jay and MC GQ. The rest they say is history. Over the years, his reputation has helped him forge close links with a number of major record labels and artists, especially Reinforced and Goldie's Metalheadz, ensuring that he was one of the first DJ's to gain access to their highly-prized dubplates for testing the crowds. His move into production, whilst only occasional, have certainly been memorable, providing the classic 'The R' for the Reinforced Enforcers series, also linking up with Andy C for 'Sound Control' on Ram Records. He is also no stranger to the business side of running a record label, holding the reins at Mac II Recordings and Stepback Sessions, the latter in particular exhibiting the respect he has garnered within the scene compiling brand new remixes of legendary tracks from the likes of 4 Hero, Omni Trio & Doc Scott too name a few. It's as a DJ that he is best known. Aside from his live performances Randall has been commissioned by Mixmag, Drum & Bass Arena, Dreamscape, Ministry of Sound/AWOL and many others for studio mixes. With his fluid style and a career that has taken him all over the globe from the UK throughout Europe, USA, Canada, Australia, New Zealand & Asia. Randall's ability to move with the times and reflect what is going on around him has ensured that his talents continue to be heavily in demand today. A term all too loosely bandied about, after 25 years at the top, Randall is the true definition of a legendary DJ, loved by the public & the industry alike!